Am running my first week of blogging marathon with Cook with coconut as theme, i cant imagine Kurma without coconut. I usually prepare kurma with cashew nuts, poppyseeds and grated coconut paste, which gives a delectable flavor and texture to kurmas. Usually we make Kurma with vegetables and meats, but for a change i opted for deep fried crispy vadas prepared with horsegram. And this works, we seriously enjoyed this kurma very much with both rice and rotis. If you want to prepare the same kurma with channadal vada just go on with, they will definitely taste fabulous as well. Soak the horsegram for atleast two hours or else for overnight, drain the water and grind them as coarse paste without water, if its too hard to grind,just sprinkle some water. Add the chopped onions, chopped green chillies, chopped ginger pieces, curryleaves, fennel seed powder and salt, mix everything well. Meanwhile heat the oil for deep frying, take a small ball from the horsegram mixture, flat them in your palms and gently drop them in hot oil. Fry them until they get well cooked, strain the excess of oil with a paper towel.Keep aside. Now add the coriander powder,red chilly powder,salt and cook for few minutes. Add enough water and bring it to boil, cook until the oil gets separates. Finally add the deep fried vadas and put off the stove. Add the chopped mint leaves and give a stir. Havent tried including horsegram in our diet. New recipes (for me) like this inspire me to give these a try without hesitating too much. This dish is new to me and vadas soaked in a tangy gravy look very tempting. Horsegram vada curry looks perfect to eat with rice. Love this kollu vadai kurma. Looks so yum..
Never thought of making kollu vadai and adding it to kuruma Akka.. Very interesting recipe!Delicious!! The recipe sounds so good it's tempting me to try right away . Excellent blend of flavors. 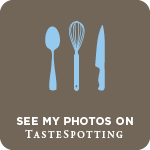 Delicious flavours and am want to try this asap. 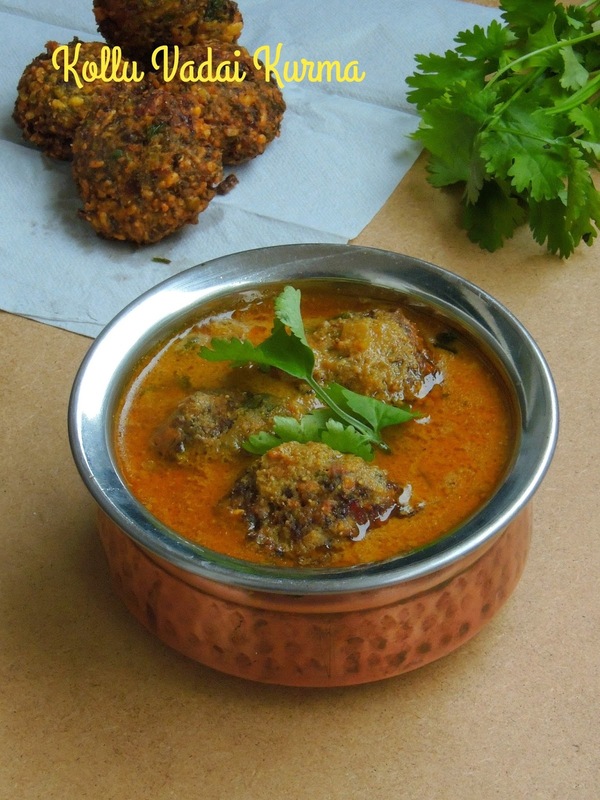 I have tasted the chana dal vada in a gravy but horsegram vada is new. Shall check it out soon. 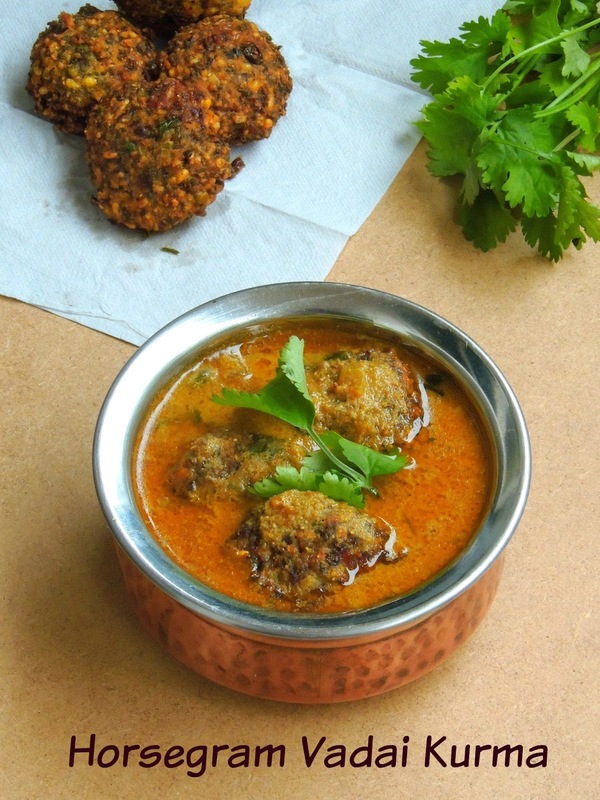 We make pulusu (tamarind based curry) with moong dal vada. This korma is mouthwatering. That is such a mouthwatering dish Priya. Looks amazing. 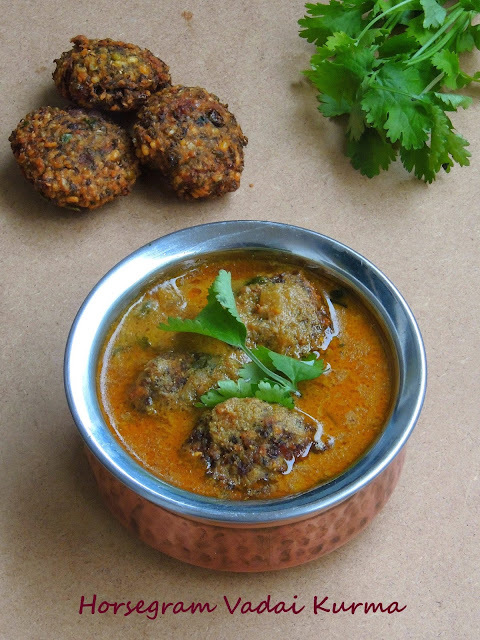 wow what an idea to use those vadas in gravy..very good one..